This guide is a reference tool for students of Kumu Kalea's ED 294: Introduction to Multicultural Education class. Click here to search Voyager, our online catalog. *A keyword search is best if you have no other information about the item. 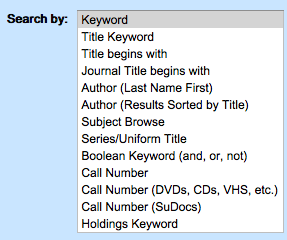 *A title search can be done if you know that your keywords are located somewhere in the title. *If you know the exact title of the item, you can do a "title begins with" search. The title and spelling must be exact. If you are unsure, either check Amazon or do a partial title search. Example: You only know the first couple words of the title. That's fine! If you're looking for "Facing Hawaii's Future" but only type in "Facing Hawaii", you will still be able to find the item. It's better to leave off the rest of the title and be safe, rather than sorry! Important: If the title begins with an article (the, a, an, etc.) omit it and enter the rest of the title. If you leave the article in the search, there will be no results! Example: You remembered how much you loved "The Giving Tree" as a kid and wanted to re-read it now. Do a "title begins with" search for "giving tree". Do not add the "The" to the search. *If you know the name of the author, you can do an "author (last name first)" search. You do not need to add commas. Results will show multiple authors; you will have to search for the correct one. Example: I want to find books by J.K. Rowling, so I search for "Rowling J.K.". This is the result page. After looking at the options, I know that I want the first author. Step 1: Find a book with a multicultural theme that has an overarching moral or lesson. Step 2: Read the article below. Step 3: Design your own lesson plan. You have the opportunity to actively engage your students by asking questions BEFORE, DURING, and AFTER the read-aloud, so carefully consider what questions will complement your story.